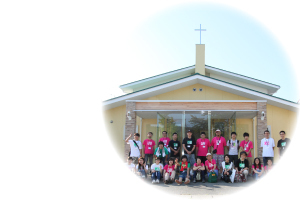 We are a non-profit volunteer organization established by Oasis Chapel Rifu Christian Church in response to the Great East Japan Earthquake on March 11, 2011. Starting in Miyagi Prefecture and then out to the greater disaster area, our mission is to do volunteer work with a Christian spirit, bringing the message “You are not alone” to the hearts and lives of the victims of the Great East Japan Earthquake. OasisLife CARE give thanks for your endorsement and partnership. For those who would like to give support through donations and offerings, please refer to the bank account information below for international wire transfers. We will use your donations to buy relief supplies and work tools for the disaster area, to conduct events, to pay our full-time staff, and towards PR and transportation costs, etc. Our accounting is under the supervision of religious legal counsel, Japanese Baptist Rifu Christian Church, and an executive supervisory board. It is a separate account from the church and will be impartially handled. (C) 2011- OasisLife CARE All Rights Reserved.